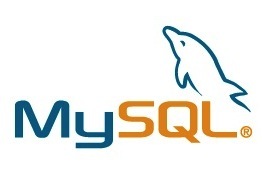 MySQL is the world’s most popular database management system and it is being used in many projects. Be it a simple media player or a huge server that logs thousands of users, this open-source database is known for its stability and performance. MySQL was named after co-founder Michael Widenius' daughter, My and as for the SQL part, the phrase stands for Structured Query Language. If you are using MySQL on a server, it is highly important that you secured the installation in order to avoid any loopholes. If left unsecured, an intruder might hack into the database causing havoc to the stored data. Enter the password (Press enter if the root password is blank). This will remove all other databases that are not root. This will set a password to the root account. Do make sure you remember it well. You can still remotely access the database using ssh, so don’t worry about it. Don’t use MySQL as root: Create a separate user and then use it to test, modify and add databases. Avoid logging in as root as much as possible. Lockdown the data directory: Change the permission of the directory where database is stored so that only selected users can access it. You can do that using chown and chmod commands. Periodically backup MySQL data: Even though the server might be relatively immune to attacks, it’s still a good idea to backup your databases. You can use the mysqldump command to do that.